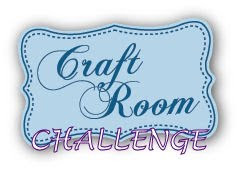 It's the start of the weekend, people, and that means another chance to enter a fabby challenge at Card Crafter's Circle and this is definitely goin' to be a popular one! It's always such a pleasure to create something with Kathryne's lovely images, and for this challenge, I chose to make a card with Polar Friends.....so cute! And a Spellbinder's teeny scalloped rectangle cut from a scrap, with an even teenier label for the sweet sentiment, chalked to match the image......done! 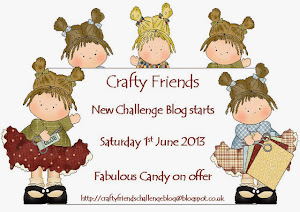 Now, I visit your blogs often enough to know that you LOVE layers on your creations, so this is a must-do challenge.....take a trip over to the Challenge blog to see some lovely-jubbly inspiration, then get creatin'! HA! Not surprised at all that your cute little card would feature snow (LOL)! You've done such a nice job with this sweet image. Thought of you last night as we actually had snow here at my house in southern USA (and after I told you to keep it to yourself - grin)! As usual, the little "extras" you add to your cards are the greatest! Hi Anne-Marie, awww how adorable! Such a sweet image and a gorgeous card - love the netting/organza bow. Awwwww I love that cute image Anne-Marie and you have made such a gorgeous card with it. The icy blue netting bow looks stunning. Anne-Marie, these polar friends are so cute! Love the great papers and the frosty snowflake! Such a sweet card. 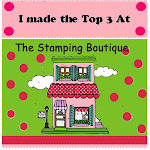 Love that stamp! Gorgeous card Anne-Marie, I like the sweet image,the snowflake and the bow, Thanks for joining in with us at Digi Haven, Good Luck. This is adorable Anne-Marie! I love how you used the papers! 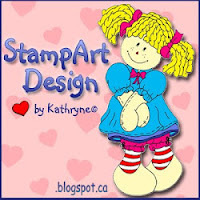 Love your card, such a cute image and colored beautifully! Such a sweet, sweet creation. Smiles. 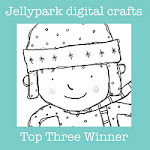 Thank you so much for joining us at Delicious Doodles this week for our Winter Themed Challenge. This is wonderful!! The polar bear and penguin are so cute and I love the little jingle bell with the bow! Your recycled snowflake is so pretty too! This past week has been so cold here and now we are expecting snow. Guess if it's going to be freezing anyway we might as well have something pretty to look at too!